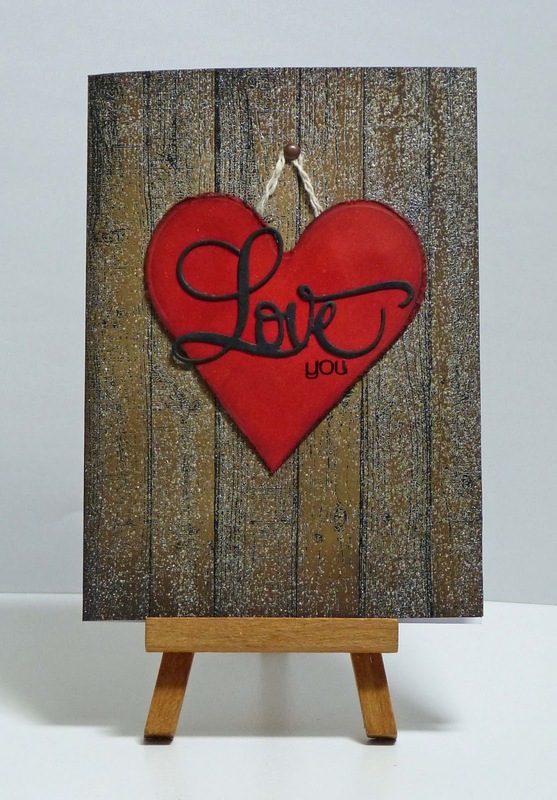 Cathy's Card Spot: Rustic heart. Hi everyone, been back at work for just over a week now, so am catching up on a few challenges this weekend! 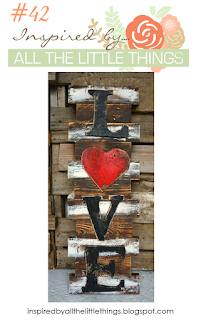 At Inspired by all the Little Things there is this gorgeous inspiration pic. I was inspired by the woodgrain and the distressed red heart. It's a bit hard to see in the photo but I've used a paper distresser tool on the edge of the heart. My son advised me to go shopping so that I could find a "you" stamp with a font that matched this diecut. That has got to be a first lol! He won't pay if I find one though! The theme at Simon Says Stamp Wednesday is the colour of love. It's red for me! Darkroom Door woodgrain stamp; black versafine ink & clear ep; distress inks in browns and reds; Mpress heart die; Couture Creations love script die; Simon Says Stamp Happy stamp set for the you sentiment; brad, distressing tool and string. I love your fabulous take on the inspiration photo! I love the woodgrain look on your card. I'm also crazy about the Love font. This is really pretty. Great take on the theme. Your woodgrain background looks so good with your heart and sentiment. The Love font is fabulous. You captured the feel of the photo perfectly in this lovely Valentine! Thanks so much for joining us at Inspired By All The Little Things! Gorgeous card Cathy, love you take on the image shared. Fantastic card, I love the woodgrain background. Thank you Cathy for visiting my blog at SBB challenge - so I'm now re-visiting yours! It's been a while and I am so impressed by your beautiful CAS cards - everyone is stunning! Very pretty! I love the distressed heart. Thanks for playing with us at Inspired by All the Little Things this week.